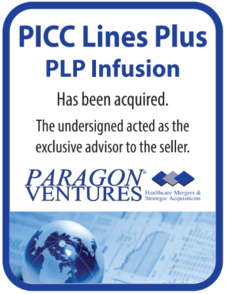 Paragon Ventures is one of the nation's leading specialists in the merger, acquisition, and divestiture of private mid-market healthcare companies. Our team has successfully completed over 200 transactions and advised thousands of business owners nationwide since 1994. We specialize in the health care industry including all sectors of pharmacy distribution, home healthcare, respiratory, sleep and infusion therapies, nursing services, medical supply distribution, and related medical technologies. The merger and acquisition business is a "people business" first and foremost. We understand this. The business owners who have worked with us over the past decade can attest to it. We create business opportunities that deliver REAL VALUE for real people. We specialize in the entire process. With almost a century of combined business finance, marketing, and operations experience we understand the intricacies of customer demographics, reimbursement and governmental regulations. We know how to highlight the Real Value that business buyers demand. 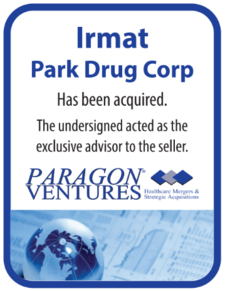 From initial strategic exit planning through valuation and marketing to finalizing the sale, Paragon Ventures manages the entire process. Our transactions are life-changing for the business owners, their families, and employees. We understand the �psychology of the deal� and the emotions and implications that come with it. Understanding your business and its value... presenting the company in its very best light and finding the opportunities that deliver that REAL VALUE. This is what we do... every day! 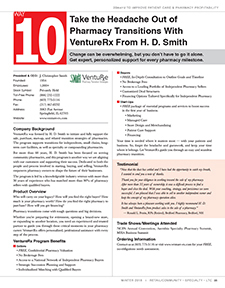 Since initially launching these services in October 2008, Cardinal Health�s Transition Strategy and Management team has worked with more than 125 pharmacists interested in buying or selling an independent pharmacy. Because Cardinal Health serves more than 5,000 independent pharmacies throughout the United States, the company is uniquely positioned to match potential buyers and sellers and to help develop acquisition and exit strategies that take into consideration the specific challenges these owners face. Cardinal Health�s Transition Strategy and Management team can help independent pharmacists to determine the best timing to buy or sell a pharmacy, learn how to structure the sales transaction and understand what kind of additional outside counsel they need. Redesign newly purchased pharmacies to create a fresh, more efficient workflow. Determine how to invest the proceeds and what their role will be following the sale. 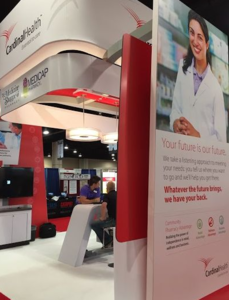 Cardinal Health�s Transition Strategy and Management services are available to all independent pharmacy owners, pharmacy students and to pharmacists who aren�t currently affiliated with an independent pharmacy but are considering independent pharmacy ownership. Headquartered in Dublin, Ohio, Cardinal Health, Inc. (NYSE: CAH) is a $91 billion, global company serving the health care industry with products and services that help hospitals, physician offices and pharmacies reduce costs, improve safety, productivity and profitability, and deliver better care to patients. With a focus on making supply chains more efficient, reducing hospital-acquired infections and breaking the cycle of harmful medication errors, Cardinal Health develops market-leading technologies, including Alaris® IV pumps, Pyxis® automated dispensing and patient identification systems, MedMined� electronic infection surveillance service and VIASYS® respiratory care products. The company also manufactures medical and surgical products and is one of the largest distributors of pharmaceuticals and medical supplies worldwide. Ranked No. 18 on the Fortune 500, Cardinal Health employs more than 40,000 people on five continents. More information about the company may be found by clicking on the link below to visit our website. Cardinal Health on Pharmacy Franchise Opportunities and Buying & Selling Drug Stores.buying and selling pharmacy franchising with Transition Strategy and Management team and independent pharmacists. Buy or sell a pharmacy, independent pharmacy buyer acquisitions start-up long term business plan exit stragety. 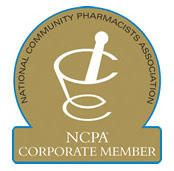 independent pharmacy owners, pharmacy students and to pharmacists considering independent pharmacy ownership. WE HAVE RECENTLY EXPERIENCED AN UNPRECEDENTED DEMAND FOR PHARMACIES! American HealthCare Capital is a nationwide corporate finance and mergers & acquisitions advisory firm that specializes in meeting the needs of middle market healthcare providers. Our company has served as the healthcare community�s bridge between sellers and buyers for over 23 years. We are active in every modality within healthcare services including but not limited to all types of Pharmacy, Infusion, DME, and Homecare. With an emphasis on healthcare transactions, we understand the need for a unique approach to the pharmacy sector. Since we�re always in the market, we pride ourselves on our intimate, real-time knowledge of the marketplace. We know who�s buying for a premium, who�s selling for a discount, and what deals can get financing. Recently, we have been experiencing an unprecedented demand for pharmacies including infusion, compounding, specialty, closed-door, and retail pharmacies. AHC is approached on a daily basis by buyers, ranging from individual investors to national organizations and private equity firms that are looking to expand their services. This presents an outstanding opportunity for owners that are looking to sell their pharmacy. When you engage our firm to represent you, it empowers us to give you the maximum exposure in the marketplace. What distinguishes our organization from The Competition is that over the last twenty three years, we have developed the largest data base of qualified buyers, making us the only brand name in the industry. Over a thousand times a day, our state-of-the-art marketing center reaches out to potential buyers and offers them businesses like yours for sale. This gives us the ability to market your company directly to almost every possible type buyer in the United States, therefore maximizing the true value of your company. As a matter of policy, no one will ever see any information about your company, including your name, until a proper Confidentiality Agreement has been executed between the prospective buyer and AHC on your behalf. AHC utilizes a 30 day listing agreement, whereas our competition usually binds you to at least a 6 month obligation. Because we have immediate access to our proprietary data base of over 100,000 diversified buyers, we are confident that we can reach the right buyer, sometimes in as little as 30 days! If we are unable to sell your company in 30 days, we will continue to market it until the job gets done or you decide you would like to terminate it. We sell listings that our competitors have failed to sell, and our competitors have never sold a listing that we couldn�t sell. AHC never charges any up-front fees. Our team spends a considerable amount of time, effort, and resources to prepare the marketing material for your listing, and we don�t get paid until the deal closes. We strive to provide the highest quality service and our representatives are available anytime to answer your questions. Call us today for a free consultation with no obligation at (800) 424-1338. Our team is ready when you are! Please visit our website at www.americanhealthcarecapital.com for our full inventory of active listings! We understand the financial needs of professional businesses, such as pharmacies and pharmacists. When it comes to providing financial resources, your practice is our priority. As dedicated as you are to keeping others healthy, we're just as dedicated to keeping your practice financially strong. We offer recent pharmaceutical graduates customized terms and accommodations for start-up or practice acquisition loans. The very same goes for equipment, expansion, remodeling, and more for our practicing pharmacists. Don't limit your reach. As one of the nation's leading small business lenders, we're here with the dedication and the expertise you need to reach your business goals. Pharmacy Values are currently very high. At Pharmacy Consulting Broker Services, we know that properly executed commercial transactions are complex. Selling your pharmacy without a licensed agent can net a lower price and pose a higher risk of litigation. Let us take the hassle and worry out of selling your pharmacy. We will work with your attorney and accountant to provide professional and confidential representation from start to finish, netting you the highest value for your pharmacy. With Pharmacy Consulting Broker Services, you will be working with a fully licensed Pharmacy commercial agent who is a registered pharmacist and pharmacy industry specialist, legally licensed to sell a pharmacy. We will provide unsurpassed access to buyers and the national presence and negotiating clout to bring you the highest value for your pharmacy, all at a competitive rate. Pharmacy Consulting Broker Services offers a full listing service to help sell your pharmacy at the highest possible price. When you list with us, you can be assured that your transaction will be handled with the utmost integrity and professionalism. Many brokers and consultants claim they have a "proprietary list of buyers" or "know who the buyers are". The simple truth is that no company is more connected to buyers on a state and national level than Pharmacy Consulting Broker Services. Listing your pharmacy for sale with us will give you the number one advantage in obtaining the highest value for your pharmacy, and that is exposure to multiple qualified buyers. Our listings are brought to the five major types of buyers through a national marketing program, dramatically increasing your chance of bringing the greatest number of qualified buyers to the negotiating table, which is the key to driving the highest value for your pharmacy in todays market. Pharmacy Consulting Broker Services offers a full range of buyer services. 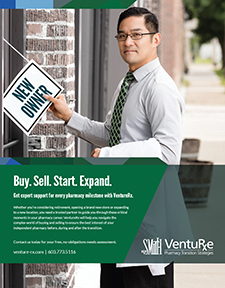 We can assist buyers in obtaining financing, helping refine and perform due diligence for a potential pharmacy acquisition, do an appropriate valuation for an asset sale or legal needs, and analyze business operations and performance. Pharmacy Consulting Broker Services offers a full range of seller services. We will first determine the market value of your pharmacy. We will then build a professional portfolio ("the book") to present to qualified buyers. Then we will launch our proprietary national marketing program to locate potential qualified buyers. After we narrow down a list of candidates, we will look at offers and negotiate your purchase agreement and price. Once we find an acceptable buyer with an acceptable price, we will set up and attend the "closing" of your deal with you as your representative. Pharmacy Consulting Broker Services on Franchise & Acquisition. Selling your pharmacy or buying a pharmacy need a Listing Service with Buyer Services for pharmacies. pharmacy Financing Options, own your own pharmacy or buy a pharmacy and sell a pharmacy. seller services and pharmacies for sale with pharmacy valuation. Our mission is to create an unprecedented banking experience for small business owners nationwide, through service and technology. The right exit plan can put more money in your pocket and keep an asset in your community. Live Oak Bank knows pharmacy. In fact, you could argue we�re the largest investor in community pharmacies, lending close to $700 million to the industry since 2010. 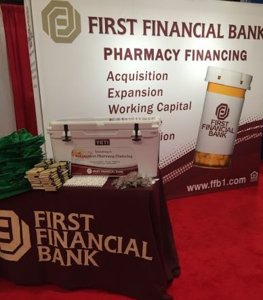 Working with a lender who understands your business results in a smoother, more efficient lending process�and a loan package that meets your specific needs, whether you want to refinance, make an acquisition or sell your pharmacy. 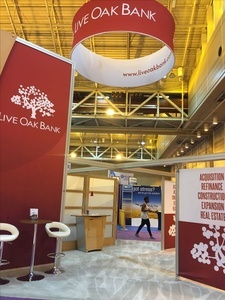 What Makes a Live Oak Loan Different? We understand the opportunities and challenges community pharmacies face. Diversifying your business may help you achieve desired growth. Our financing options allow you to move towards your dreams with confidence. We have sold and purchased hundreds of pharmacies over the past decade with satisfied sellers and buyers. 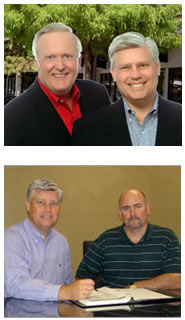 Tony Hayslip and staff have more than 50 years of pharmacy expertise in all segments of the business. Hayslip & Zost Pharmacy Brokers LLC specializes in successfully handling pharmacy sales transactions. 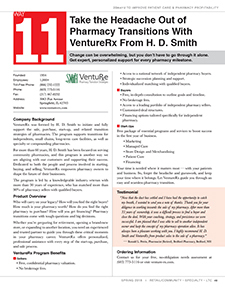 We specialize in developing effective exit strategies for pharmacy owners in all states. Buyers turn to us first when they are expanding. Since we are experts in the industry, we can make sure your business value is maximized and your worries are minimized. We bring interested buyers together with interested pharmacy sellers � not simply "list" a business for sale. Unlike most business brokers, we only specialize in independent pharmacy ownership transaction. So invest in your future by contacting the pharmacy sales professionals at Hayslip & Zost Pharmacy Brokers LLC. You will find out that we really can maximize the value of your pharmacy business, to get you the most favorable terms. Use the links below to contact us or to view our website. Change can be overwhelming, but you don't have to go it alone. Get expert, personalized support for every pharmacy milestone. Change can be overwhelming, but you don't have to go through it alone. Get expert, personalized support for every pharmacy milestone. Need expert help selling your pharmacy? Life is full of transition, even with the ownership of your pharmacy. Buy of Sell a Pharmacy with Confidence. 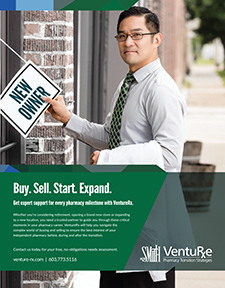 When you're ready to start, buy or sell a pharmacy, RxOwnership is ready for you. Selling your Pharmacy? Don't Put Yourself and Your Pharmacy at Risk. We know community pharmacy lending! 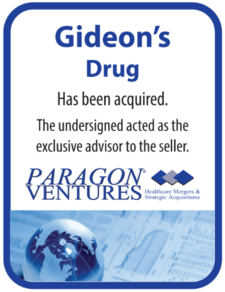 When experience counts, Paragon Ventures will maximize the value of your business and get your transaction closed successfully. Buy or sell a pharmacy with confidence. Selling your pharmacy? Buying a pharmacy? Need a pharmacy valuation? Pharmacy Brokers can help! Thinking about selling your pharmacy? Pharmacy values are extremely high. Do not sell yourself short! When you want to sell your pharmacy, we have the right prescription! Terms used when buying or selling a business. The term is listed followed by its definition. A financial claim by a business against a customer arising from a sale of goods or services on credit. One measure of the health of a business is how fast customers pay off their accounts. Less that 30 days is good, 30 to 60 days may be okay, and over 60 days could be a problem. Unpaid interest to date on a note or mortgage. The total depreciation of an asset that has been charged as an expense to date. A preliminary agreement reached between the buyer and seller of a business that outlines the general terms under which more detailed negotiations will be undertaken. In an asset sale, the purchase price must be allocated to certain assets; the balance is goodwill. A spreading out of costs over a period of time similar to depreciation. For example, it can be a reduction in a debt or fund by periodic payments covering interest and part of the principal over a period of time. It is different from depreciation in that depreciation usually refers to physical things where amortization applies to things that expire (mortgages, patents, etc.). Any person, corporation, or other entity with whom you deal regarding the sale of your business and who has no prior financial or family involvement with you. Purchase of certain assets and/or liabilities, leaving the seller the remainder as well as the corporate entity. Commercial lenders who are willing to take on more risk than commercial banks, lending against accounts receivable and inventory and being subordinate to commercial banks. Also known as net worth, the figure derived by deducting all the liabilities from all the assets. The book value of a business is determined from the financial records, by adding the current value of all assets (generally excluding such intangibles as goodwill), then deducting all debts and other liabilities. Book value of the business may have little or no significant to relationship to actual market value due to depreciation and lack of consideration for goodwill (intangible assets). The accounting value of an asset shown on the balance sheet that is the original cost of the asset less its accumulated depreciation. Keep in mind that this value may have little or no relationship to the real market value of the asset. Frequently, depreciation expenses are charged much faster that the actual decline in the asset's value. Article 6 of the Uniform Commercial Code regulates the bulk transfer through the sale or ownership change of a large portion ( usually greater than 50%) of a business's inventory, material, supplies, merchandise, and equipment. Requirements include the advance notification of creditors of the impending sale of a business and its assets listed above to prevent fraud. Provisions in each state are somewhat different so check your local statutes. The conversion of income into value as part of the valuation process by the application of a capitalization factor ( any multiplies or divisor used to convert income to value). The amount of money left over after the cost of goods sold and general, selling, and administrative expenses, but before interest depreciation, taxes, and amortization. The process of legally completing the purchase and sale of a business by exchanging asset titles. stock certificates, cash, and promissory notes. Property pledged by a borrower to protect the interests of the lender. Bank loans are often collateralized or secured by the company's accounts receivables, inventory, and/or equipment. The negotiated fee, usually a percentage of the purchase and sale price of the total business cost, earned by a business broker for facilitating the sale of a business. Usually the value of the inventory and other non capitalized assets are excluded from the calculation of the commission. The provision of proprietary information by one party to another for that party's exclusive use, with a prohibition against passing it on to others. Dependent on or conditioned by something else. For example, the price established for the business may vary depending on some future event. Future financial obligations that are dependent on contractual events taking place. An agreement given by the seller of a business to the business buyer to not compete in that or a similar business for a specified period of time, and within a specified geographic area. Binding agreements between the buyer and the seller that restrict each party from taking certain actions, particularly during the letter of intent period and closing. This is the payment of principal and interest required on a debt (usually a loan or mortgage) over a specified period of time and interest rate. Charges against earnings to write off the cost, less salvage value, of an asset over its estimated useful life. It is a bookkeeping entry for accounting and tax purposes and does not represent cash outlay. The investigation of the other party's business practices in an attempt to uncover previously unknown information. A part of the purchase price that is dependent on a future performance variable, such as profits or sales. This is an agreement whereby key employees agree to remain with the business for a specified period of time under certain conditions. Money that is delivered to a third party and held on deposit until the party to receive it fulfills certain conditions. What the assets would most likely sell for in the open market; this is often determined by a professional appraiser. The annual accounting period selected by a business to best correspond to its operations. A fiscal year can correspond to a normal calendar year or begin/end anywhere in between, e.g. ; the federal government's fiscal year begins October 1 and ends September 30. A form of business organization in which the franchisor (the primary company) provides to a franchisse (the local business) a market tested business package involving a product or service. The franchisse operates under the franchiser's trade name and markets goods and/or services in accordance with a contractual agreement. Any positive cash flow that enter a business. Gross revenues do not take expenses into account, and are therefore not the most highly recommended figure to extrapolate a businessâ��s value from. In the purchase and sale agreement, a provision stating that if a buyer winds up having to pay a debt that the seller did not disclose, it will be paid from an amount that was held back at closing and placed in an escrow account. A summary of a business's revenues, expenses, and profits for a specific period of time, usually for a full fiscal year. Exemption for the buyer from incurred penalties or liabilities after the closing as a result of incomplete representations and warranties of the seller. An agent who is a mergers and acquisitions consultant to the buyer or seller and is expected to facilitate the transaction. An intermediary who often provides additional services such as bridge loans or underwritings. The industry standard commission rate, which is a sliding scale, i.e., 5-4-3-2-1 percent on each successive million dollars of the purchase price. A preliminary offer to purchase a business, usually non binding, which if accepted by the seller leads to the drafting of a purchase ans sale agreement. An acronym for mergers and acquisitions. Companies with sales between $2 million and $150 million. Money paid out in the future discounted at the opportunity cost of capital for a similar risk over the specified period of time. A written promise to repay a loan. Usually a key part of a business sale. Normally written from the buyer to the seller for a period of 5-10 years. Method of allocation all non-labor costs to the various products manufactured or services performed. A legal business association of two or more persons co-owning a business and sharing in the profits and losses. Although there are several kinds of partnerships, the tow most common are, general and limited partnerships. Elements of compensation in addition to a regular salary, such as the use of a company automobile, country club membership, entertainment allowance, etc. A set of projected financial statements which usually includes: income and expense statements, cash flow projections, and balance sheets. Generally, in a purchase and sale of a business, a seller prepares an optimistic pro forma statement. The buyer should ensure that a realistic pro forma is used as part of the business plan for the newly acquired business. The same as the income and expense statement. A written promise to pay a sum of money at a specified future date in accordance with a predetermined interest rate and payment schedule. Indemnifications and covenants written into the purchase and sale agreement that provide factual information that is important to protect the buyer in the event of future problems. Return on investment and return on equity; they must be greater that the cost of capital in order to create shareholder value. A situation in which the seller extends his or her own notes to the buyer in lieu of paying all cash at closing or obtaining other debt financing, such as bank loans. Purchase of the company's shares of stock; the buyer then assumes all the assets and all the debt, both tangible and intangible. The formal process of estimating the worth of a business. The highest price that a buyer will offer. 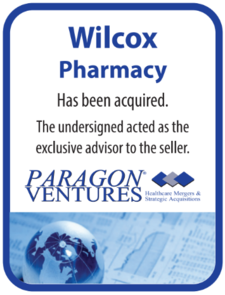 We have sold and purchased hundreds of pharmacies over the past decade with satisfied sellers and buyers. Hayslip & Zost Pharmacy Brokers and its staff have more than 50 years of pharmacy expertise in all segments of the business. So invest in your future by contacting the pharmacy sales professionals at Hayslip & Zost Pharmacy Brokers LLC. Estate Planning: Estate taxes can significantly shrink the size of your estate. Proper planning is critical to help minimize estate settlement costs and provide a comfortable living for your family. We provide advice on issues including property ownership, distribution strategies, estate tax reduction and tax payment techniques. Business Owner Planning: If you are a business owner, we help you to decide whether to keep or sell your interest at death, disability or retirement. Whatever your decision, we help assist you in retaining its value for you and your family. We will also evaluate the tax consequences of your options and help you reduce their impact at the time of transfer. Programs and services to help you start, grow and succeed. The U.S. Small Business Administration (SBA) was created in 1953 as an independent agency of the federal government to aid, counsel, assist and protect the interests of small business concerns, to preserve free competitive enterprise and to maintain and strengthen the overall economy of our nation.